I'm happy to be back! As many of you know, I've been living through a terrible, life altering experience the last 2 weeks. My city was hit very badly by Hurricane Sandy and thankfully my family and home were spared any harm, but seeing my home town (and so many others) destroyed and so so many neighbors lose everything...well...to say it's hard to deal with is an understatement. I don't want to dwell on that right now, I want to get back to NAIL POLISH which seems so shallow of me while so many so near me are in dire straights. But we DO need to keep going... I know I will continue to help my neighbors get their lives back on track too. Thank you so much for all the thoughts and well wishes to me, my family and those affected by the storm. It really does mean a lot!! There are 9 beauties in this collection and I have far too many photos for just one (or 2 posts) so I will break this into THREE posts. This first one will show you the two blues from the winter collection. I sure do have a weakness for blues...and find they are perfect for any season, but especially winter! 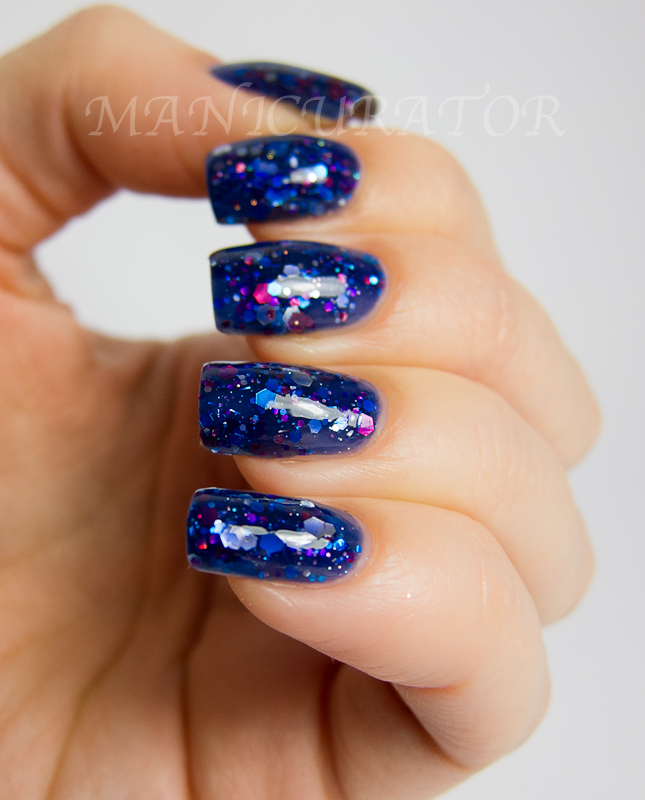 From their description "Snow Way - A sky blue base with white "snow" glitters and tiny iridescent glitters that flash blue complete my attempt to mimic a winters day." I used 3 coats here and the only trouble I had was getting the polish to make clean edges due to the large hexes..but that is fairly standard with glitters like this. Also, it can get thick on the nails (due to 3 coats, I will try 2 thick coats next time and see how that compares) I ADORE this blue. I adore white glitters. This is my clear favorite of the collection even though they are all amazing! 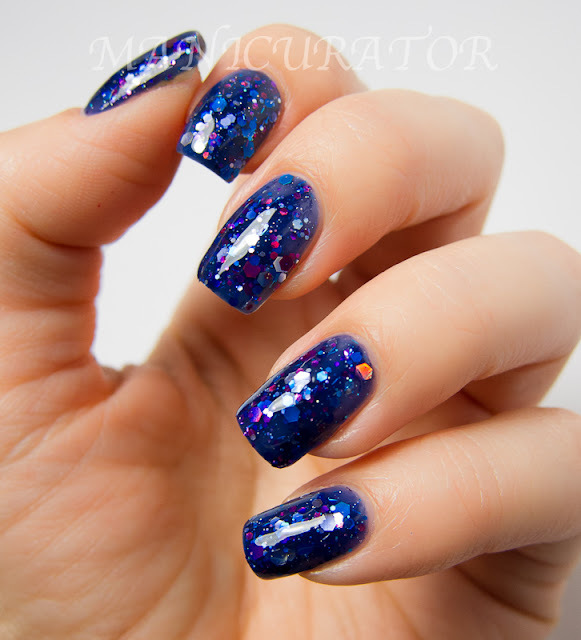 From their description: "Hex Appeal - A navy jelly base with magenta, silver and blue hex glitters. Tiny micro bar glitters add a bit of pop. 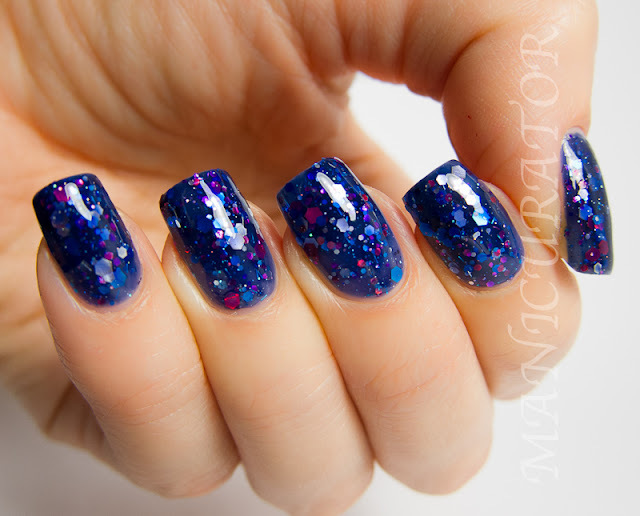 This one reminds me of New Years Eve and confetti floating in Times Square." I have on 2 coats with HK Girl top coat. Great coverage, easy application, super pretty on the nail!! Love the depth that the blue jelly gives. I am obsessed with Snow Way! Good luck!! 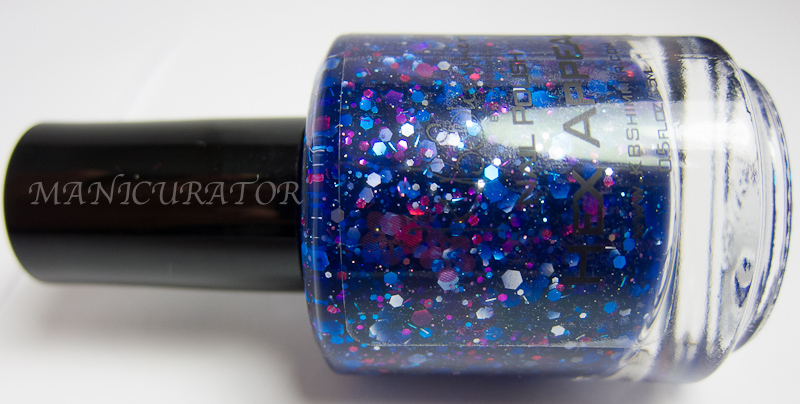 I've found KBShimmer to do a great job with restocking, so if you miss it this time, you'll get it next time! I am absolutely smitten with Snow Way as well! GORGEOUS! Snow Way is... Wow. Just beautiful! It's not selfish at all to want to return to some sense of normalcy after a disaster, tragedy, huge change, etc. It's human and normal and we all do it. Our routines are comforting especially when we're surrounded by chaos. 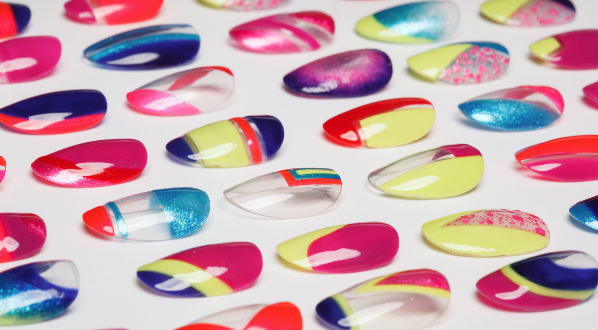 These polishes are gorgeous. Thank you for sharing! Oh my gosh I completely want to own both of these polishes. So beautiful. I've been waiting for your swatches of these! So gorgeous! I MISSED YOU!!!!!! so glad you're back and that your family is doing well. i am SO IN LOVE with these polishes, i have never seen a KBShimmer polish i didn't like but these two are SCREAMING for me to buy them. especially snow way. i just... i can't look anymore. i want them. Wow both are beautiful. I love blue! I agree that both are gorgeous! I think I may like the 2nd more, though! It's great to see you back! 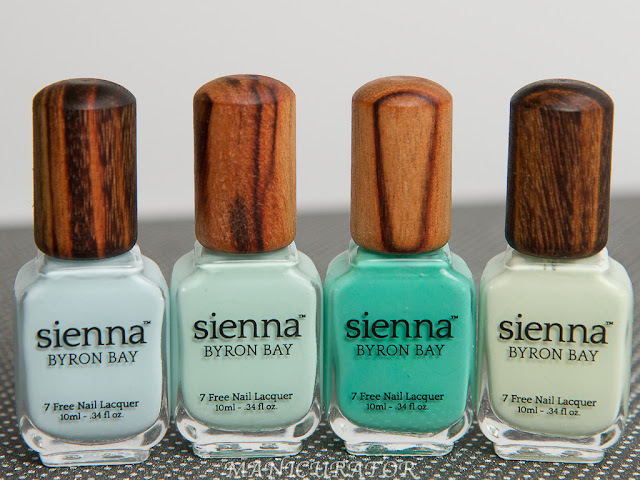 I am loving these polishes and, as always, your swatches are just perfection! I'm so sorry to hear of the devastation that you see around you, and my prayers are with those who have experienced difficulty, hurt and loss. Please know that the polish community sends our love to the coast! Glad you are back, safe and warm! gorgeous swatches as usual. These two just gave me life! I'm in love with both of these!!! Is snow way a jelly? I must have these! I love KB Shimmer.